A Place for Divalicious Inspiration! 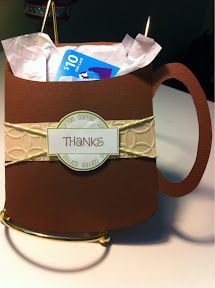 Today I want to share with you all a Coffee Cup Mug that is a gift card holder. I embossed the band I put around the mug and added some twine around it too. 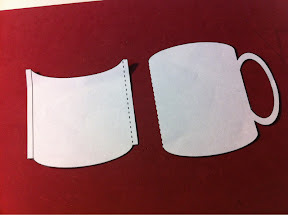 Here is the link where I got the template for the mug from. I printed two pages of the template out. 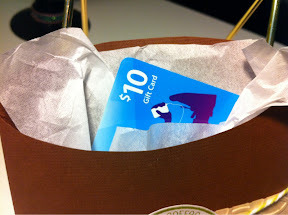 add maybe a cinnomon stick or some chocolate inside with the gift card. I hope you like my card and that it gives you some inspiration. I had seen it on the internet as Santas suit with the band being his belt. It was really cute. I think this is great for any occassion. What an adorable gift card idea!!! 3 Kid Crop Shop Scrapbooking, Sewing and Creativity Oh My! Croppin on the Go Tips with Luisa! Are created and responsible by the individual DTs. Will have a start and end date. All details will be in post along with picture of RAK. You will have to link up with Mr Linky. DT will post their contact info if you have any questions. 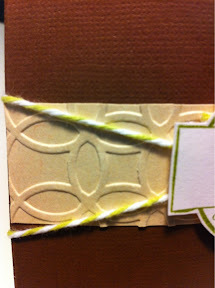 Guest DTs can post a tutorial, technique, share your layouts, cards, home decor projects. You can also post a challenge if you like but you will be responsible for your challenge. Please see challenge details above. CSDivas will have a get to know you post as well as advertise your blog/work. If you don't have time to be on a regular design team but want to have some design fun, just let us know! We'd love to have you. Mother of 2 young ladies, HR specialists, daughter, grandaughter, sister, aunt, cousin, friend, catolic, woman, scrapbooker who enjoys life and enjoys preserving our daily and special memories. This is me: LUISA!! !